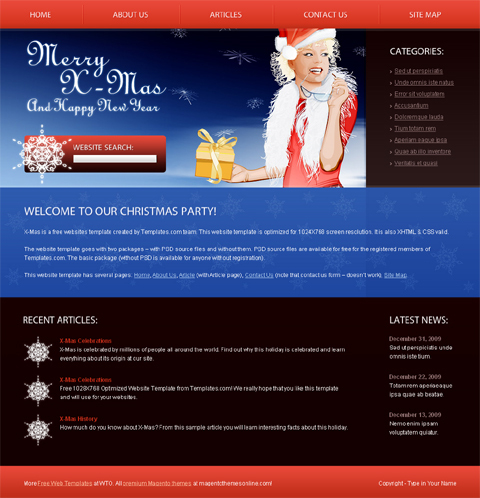 There is less than a month left before Christmas and most of us are already busy with decorating our homes, preparing Christmas gifts and costumes, etc, but being webmasters and web designers you should also think about our websites. 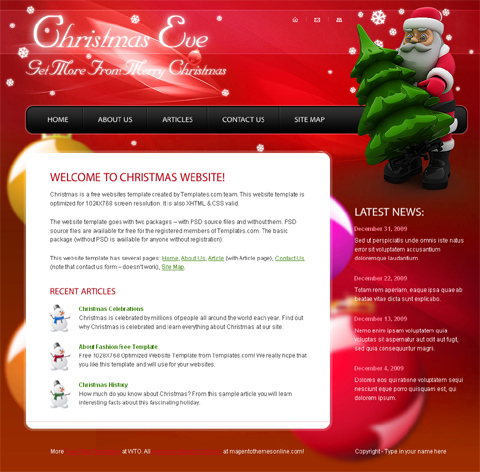 So here is a selection of free website templates you may need to redesign your web page for Christmas or you could use them to build a new Christmas website. 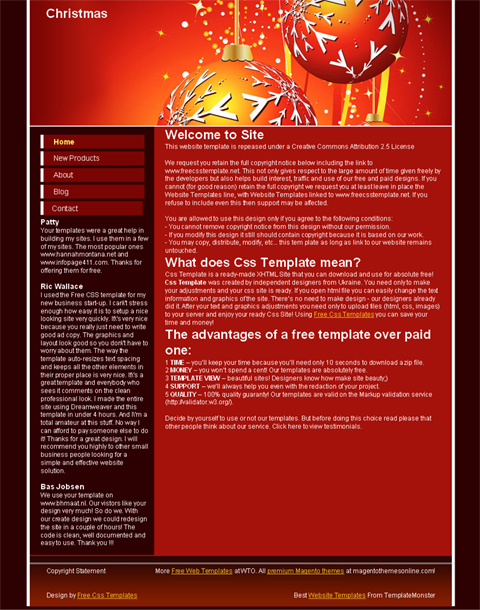 Why do you need the following website templates? 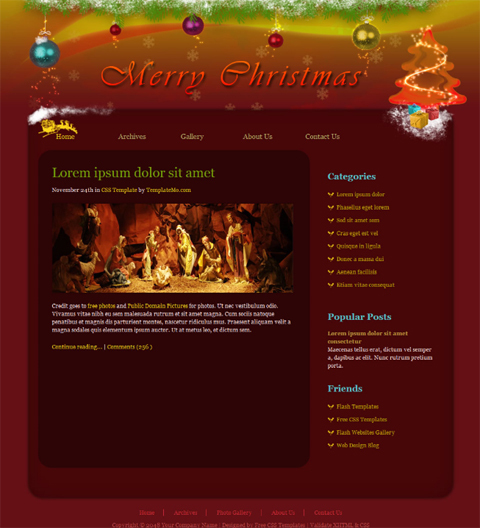 That’s because they are free; they are created using Christmas images and graphics. 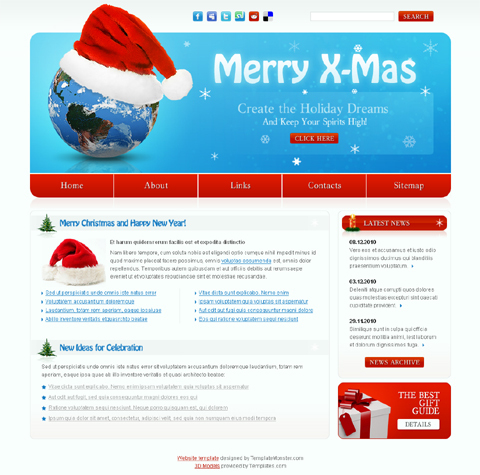 As for the colors chosen for Christmas website templates, these are red, blue, white and blue. Actually, a mix of these colors makes a traditional Christmas palette. 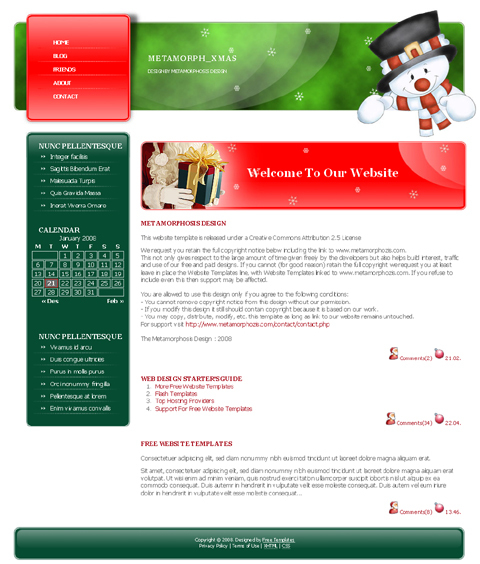 We hope you will like the free website templates which were inspired by the upcoming Christmas and they will help you decorate your websites for the most exciting holiday of the year. 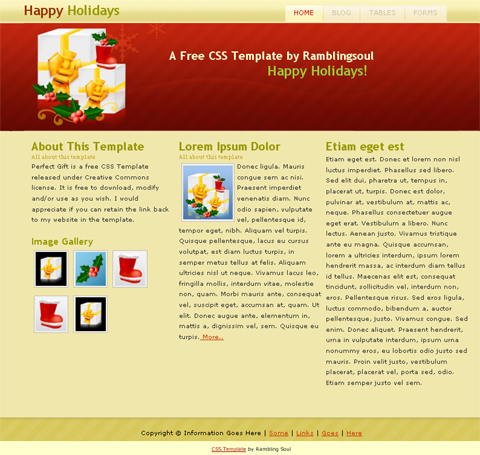 This entry was posted in Free Website Templates, Holiday Website Templates and tagged Christmas, Christmas website template, Christmas website templates, Free Template, free templates, Free Web Template, Free Web Templates, free website template, free website templates. Bookmark the permalink.